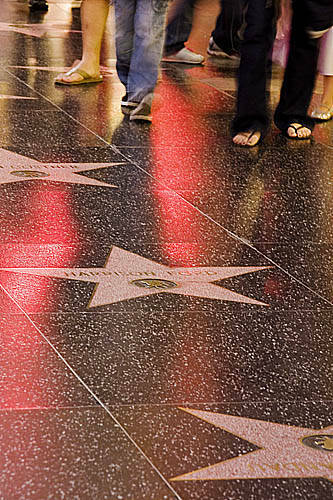 Everyone has seen the “Hollywood Walk of Fame” whether its been in person, on television, or in photos. Hollywood is the land of the rich and famous. We think they are perfect. We admire how they walk, talk, and dress. While doing this, we forget to care about ourselves. My question is, Why? They are just regular people who chose a career that feeds on a huge amount of attention. That does not mean that we should worship them. Everyone does something that deserves praise. Start learning how to appreciate yourself. Be Your Own Celebrity.Merriam-Webster.com defines a celebrity as someone who is widely known and much talked about. You probably don’t think this has anything to do with you but it does. Money Can’t Buy You Life. Bob Marley’s last words were, “Money can’t buy you life”. I love this quote because it is the absolute truth.True happiness comes from within. You do not need fancy cars, fancy houses, or fancy clothes to be happy. While this is true, I would be lying if I said that having nice things was not a plus. Even I will admit to drooling over fashion show videos on Vogue.com. I admire the quality and the amount of effort that goes into creating luxury clothing, but I would never let it break my budget, and neither should you. It hurts my heart when I see women spending money on things they can not afford to impress people who do not matter. Sure people will compliment you, some may even envy you but is it really worth it? Spending money on top of the line products means nothing if it leaves you broke. Don’t ever do this. Instead search for similar items from cheaper brands. A renowned fashion designer once said, “Girls should be two things: classy & fabulous”. Most would not doubt the fashion genius we call Chanel. So,why is it that most women focus on being fabulous but, ignore the need for class? We live in a world full of reality stars and trophy hoes. I refuse to mention any names because I would never advertise for any of these “fabulous” simpletons. Their biggest career moves are sneaking into hotel rooms with Prada knockoffs, seducing clueless men, having their children, and then using their child support payments to build “ boutiques”. I try not to comment on simpletons but, it seems like they have become celebrities in their own right. It aggravates me. I am not aggravated because of their antics. I am aggravated because they are taking attention from women who actually give a damn about themselves. What happened to class? What happened to respect? Merriam-Webster.com defines classy as someone who has a high standard of personal behavior. Does getting paid to go to fancy restaurants and argue with 50-year-old silicon surgery addicts sound classy to you? It doesn’t to me . The sad thing is that this epidemic is not just a trend for scripted“ reality” shows. Real women think and feel that this behavior is okay. I guess they think that as long as they have money then nothing else matters. Silly simpletons. If you would like to receive daily inspiration,entertainment, and political news then click here to subscribe. If you are not a member of WordPress, it's okay. Just enter your email address to receive new post notifications. "Inspiration is the key to everything."